ANET Co., Ltd., is an Internet Services Provider (ISP) under a license granted by the National Telecommunications Commission (NTC). We provide corporate SSL Certificate Registration to customers in education, financial, private and public sectors. With our experienced team of experts, we aim to provide high quality, reliable, efficient and secured Internet access supported by exceptional after-sales services. Total Electronic Transaction Security solution by applying PKI (Public Key Infrastructure) technology such as Certificate Authority (CA) and Two-Factor Authentication. 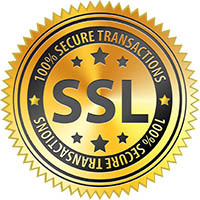 SSL Certificates Registration to increase customers website security and ensure customer confidence on their information and electronic transactions secured by world-class encryption technology.